Shrimp Stir Fry with Miracle Noodles, 0 Carbs and 175 calories for the entire package! Serves 1. 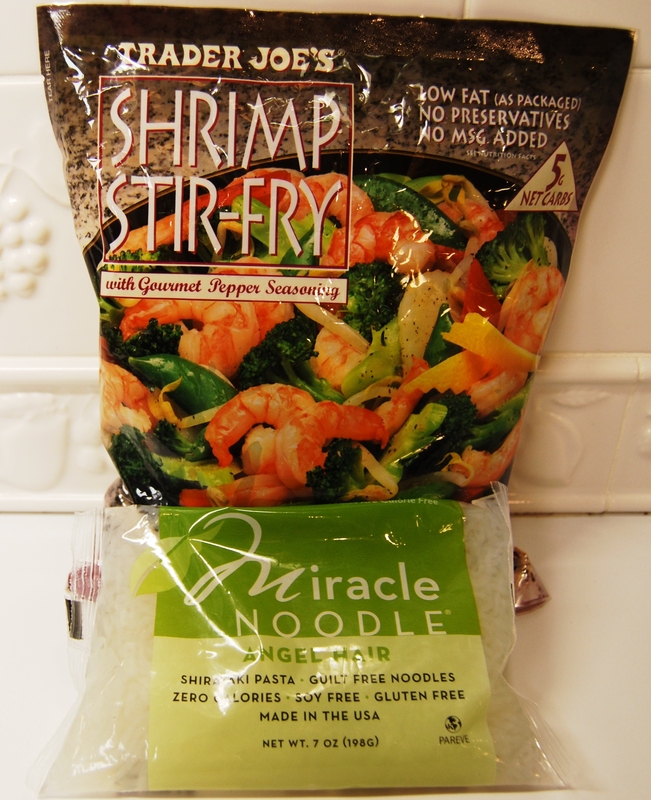 1 package of Miracle Noodle Soy Free and Gluten Free Angel Hair Shirataki Pasta (these 0 calorie noodles have shown beneficial effects backed by medical studies for Type II Diabetes, Constipation, Obesity, and Cholesterol! They contain zero net carbohydrates and zero calories, no gluten -made of a healthy natural fiber called Glucomannan). See the top insert featured below. 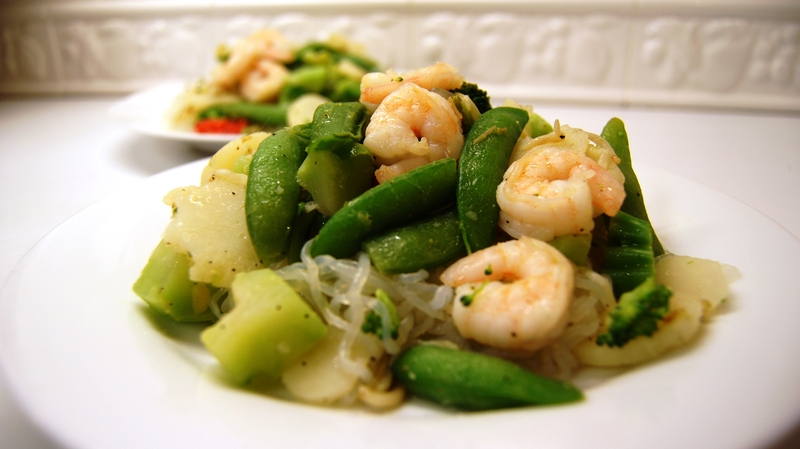 CarbLightLiving™ Tip: You can also use the tofu version of Shirataki Noodles, available with protein rich tofu! 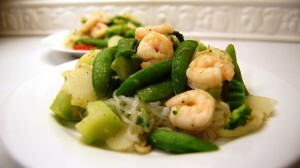 This low calorie, low carbohydrate, gluten-free pasta substitute is the perfect pairing with your Italian marinara or as part of your favorite Asian dish. See the bottom insert featured below. Spice up the entire dish with some dashes of Hot Sesame Oil (I keep this in fridge and then bring up to room temperature) and Crushed Red Pepper Flakes. 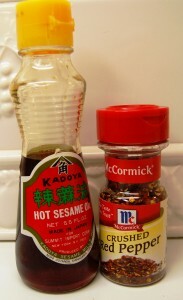 Caution – use BOTH sparingly, especially the Hot Sesame Oil. I like hot and spicy so I am freer with the shakes then most. Hi Tori – great question! On this VLC (Very Low Carb) Program, you DO NOT COUNT ALL CARBS – see the “Can-Can” list for the list of FREE foods! It appears at the bottom of the Phase I page under the Program link. This simple fact allows you to EAT MORE! That’s why this program is so successful! I have to let you all know that i mad the Boston Cream Pie and as much as i like my sweets, the cake from Dixi Products is phenomomial. Thanks for the comment! The Boston Cream Pie is one of my favorites too!